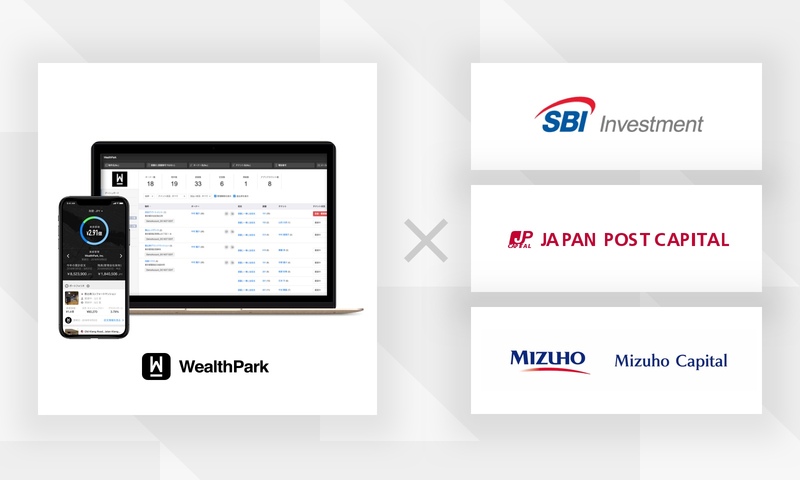 We are pleased to announce that WealthPark Co., Ltd. (hereafter “WealthPark”) has raised funds totaling JPY 540M (USD 4.9MM) with the completion of third party allocations of new shares to SBI Investment Co., Ltd., Japan Post Capital Co., Ltd. and Mizuho Capital Co., Ltd.
With the rapid evolution and utilization of mobile technology, advanced technology services for liquid asset management (equities, bonds, etc.) which was once only an offering to institutional investors and high-net-worth clients, is now becoming accessible to individuals in a more efficient and cost-effective manner. In the illiquid asset space, real estate being most prominent, has posed to be a challenge due to the fact that property management which is key to investment decisions, must consider each asset’s uniqueness, regional characteristics along with other factors, making it highly complex. Consequently, WealthPark is committed to providing a solution that will not only aid Property Management Companies with overcoming pain points for effective operations, but cooperate with Property Management Companies to turn the real estate market into an active trading venue by attracting existing and new real estate investors. Real estate management, which was traditionally focused towards the Property, is also about “Wealth Management” from the investor’s perspective. Providing an environment where this can be done via mobile technology is our vision, which our Series A supporters have also assented to. With the raised funds, we strive to strengthen our operations and product development which will ultimately enable us to deliver a unique service to our clients. Additionally, we seek to expand our servicing regions, as the investment opportunities and needs of investors continue to diversify. WealthPark provides digital asset management tool to Property Management Companies. Which increases the operation efficiency and also create more engagement with real estate investors via seamless communication using mobile technology. Our client base expanded to 6 countries. Our team is comprised from 10 different countries with professional background from Real Estate Firm, Consulting Firm, Investment Bank, Fund Management, and Ecommerce. 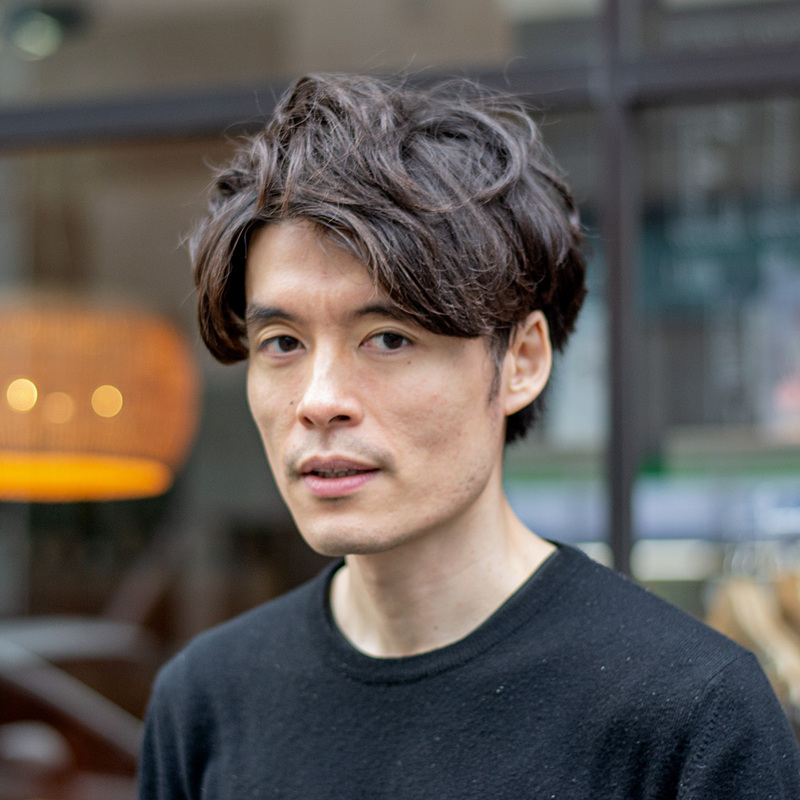 Comment from Ryuta Kawada, the CEO of WealthPark Co., Ltd. It is with great delight that we have been able to partner with investors that represent Japan. Together with our partners which include property management companies, developers, brokers, and banks, I am looking forward to creating a whole new experience in real estate investment management. The SBI Group is primarily engaged in “Financial Services Business”, consist of SBI SECURITIES Co., Ltd., SBI Sumishin Net Bank, Ltd., SBI Insurance Co. Ltd. and etc., which provides financial products and related services and information and “Asset Management Business” such as SBI Investment Co., Ltd. and etc., which provides asset management-related services and invests in Japanese and overseas companies. We believe WealthPark is a unique company that will digitize the management of alternative asset with focus on real estate that will reshape the traditional business standard. Making use of SBI Group’s resources, we look forward to our new journey and growth with WealthPark. Japan Post Capital Co., Ltd.
Japan Post Capital, as the “Life Investment Team”, supports our communities by making investments that will drive a better and brighter future for its people. Investing in WealthPark was also based on this theme. WealthPark offers a platform to real estate investors that enables efficient communication that is essential for wealth Management. We will continue to actively support WealthPark for the company’s and communities’ growth. 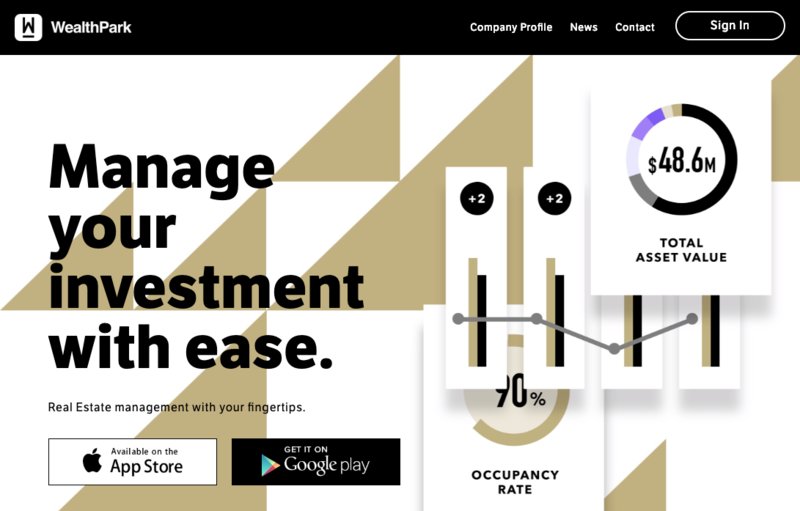 Based on the concept of applying “Technology to Real Estate”, WealthPark has created an online platform that has made property management less onerous and manual. In the future state, this platform has potential to evolve into a comprehensive real estate platform matching financing, insurance, reform, resale, as well as with valuable media functionality. Mizuho Capital, together with Mizuho Financial Group companies, share WealthPark’s future vision and support its realization.